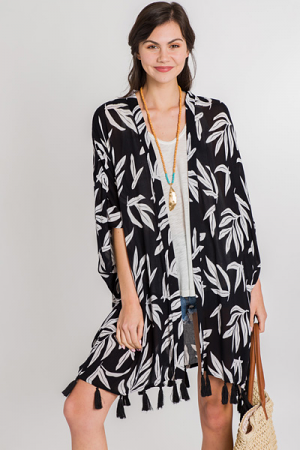 This kimono is super lightweight and features a classic print, so it's the perfect top layer for spring and summer. 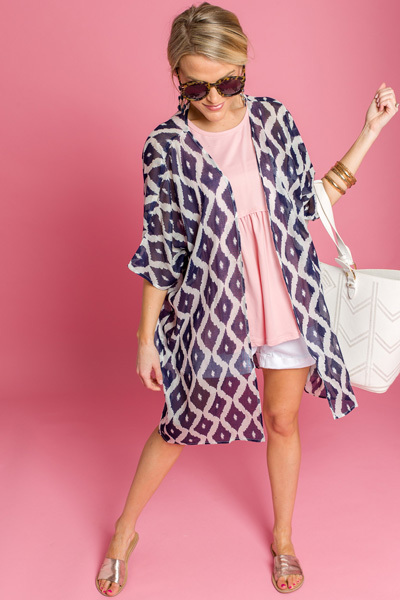 It's breezy, 100% viscose material is ideal for comfort in the warmer weather. 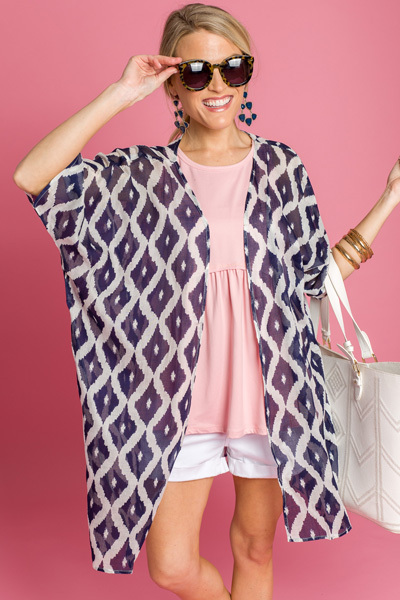 Make it into an outfit, or wear it as a swimsuit cover!